All 2019 Programs are ELITE workshops specifically designed for enthusiastic players who are serious about improving their hockey skills. These ELITE camps follow the same format and methods we use when training NHL and European professional players. 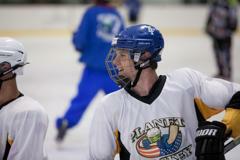 Players should arrive each day excited about the opportunity to weave their dreams and hard work with Planet Hockey's globally acclaimed hockey skills training program. We are committed to motivating each Planet Hockey student to move from simply being involved, to taking responsibility for their own skills development...to learn to love to train! We have found that hockey parents too are committed and share in our expectation that when investing in a hockey camp, players should learn and develop athletically as much as possible all while growing their love and enthusiasm for the game. We help ensure a fun and challenging camp with maximum skill development through our exclusive Pre-camp Preparation Workbook and Post-camp Player Profile & Action Plan. Research suggests and we concur, that hockey players receive significantly more personal skill development through station-based training when compared to traditional, full-ice team practices. 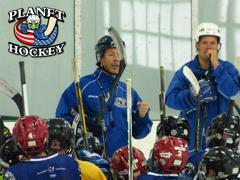 The Planet Hockey Development Model employs station-based training to teach the latest techniques and systems focused on individual player development. When you add skilled, motivated, energetic, "role-model" coaches along with a location filled with world-class accommodations, meals and activities, you create an environment where skill development and personal growth is maximized. 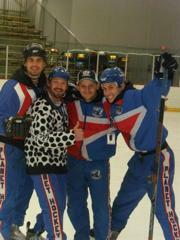 Welcome to Planet Hockey! 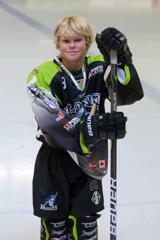 Our Model is player-centric and specifically designed not to be age-specific, rather skill-specific. Players are placed into smaller sub groups based on current skill level then assigned a customized instructional syllabus designed to maximize individual confidence and long-term athletic development. 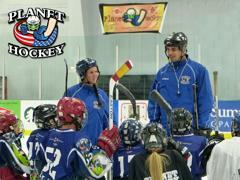 Planet Hockey will educate, motivate, support and develop players in an age-appropriate, high-energy environment that keeps them focused, entertained and passionate about what they are learning. Simply put, players of ALL levels who want to improve their skills and have more fun! To experience the true magic of the game, players must be willing to explore their own strengths, weaknesses and the effectiveness of their training approach. 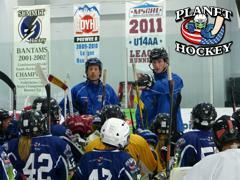 Planet Hockey is an ELITE training program that will guide players through the exciting process of attaining hockey excellence. Any player who wants to improve and who is committed to that result will benefit greatly from our professional training approach. Are you ready to join the 5,000 aspiring hockey players worldwide, who will take the Planet Hockey Camp Challenge this summer? Players receive our innovative "Progressive Phase" TOTAL Player Development Skills Training Syllabus. 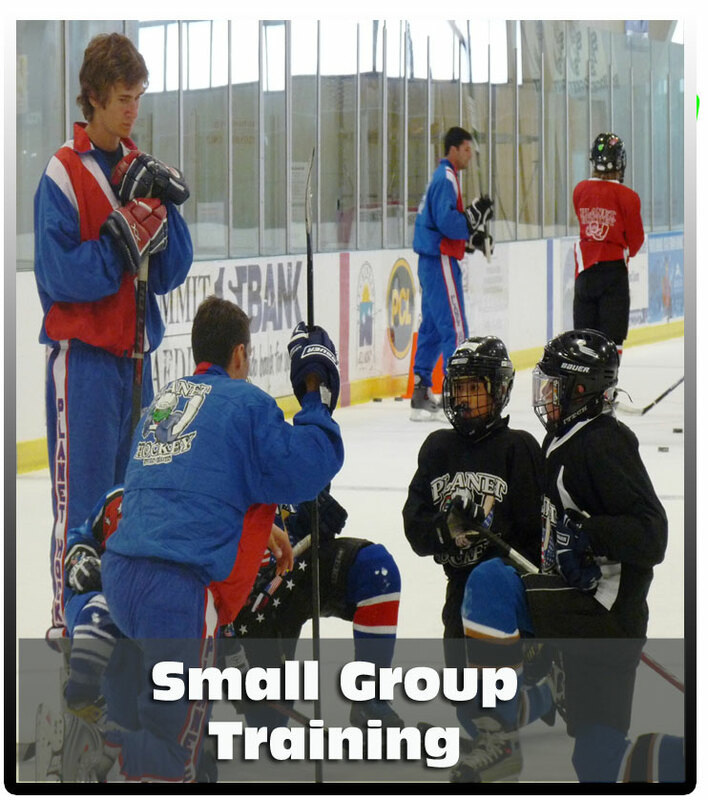 To maximize skills development, we teach in small groups, broken down by age & skill level. 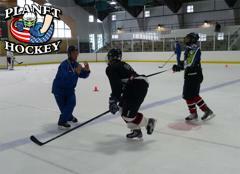 Each station highlights a critical hockey skill and allows for high repetition and 1 on 1 instruction. Players will conclude each day with fun/competitive Small Games. We select creative age and skill appropriate Small Games drills that simulate game situations. Players benefit from increased 'puck possession' and time directly involved in game situations. This format accelerates confidence and skills growth by exposing players to repetitive game situation battles and is the ideal conclusion to a great day of skills training. We teach advanced hockey concepts. To maximize comprehension, each day begins and ends with a group focus session where we outline and further explain instructed concepts and preview the remaining curriculum. 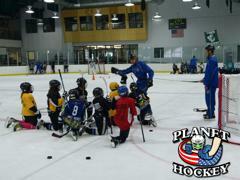 Planet Hockey expects each student to arrive at camp prepared to learn, work and to do the little things necessary to improve their skills. Players will learn the importance of individual and team self-evaluation, preparation, responsibility, accountability and leadership (SPRAL). Each player will receive a pre-camp electronic workbook 4-6 weeks prior to camp, to help prepare for a challenging week of hockey training. 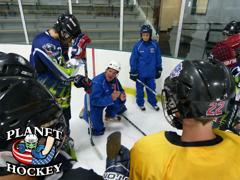 This level of commitment will be supported by our pro-active approach to teaching & learning complex hockey concepts. You pay, you taxi...you DESERVE a pleasant return on your hockey investment. 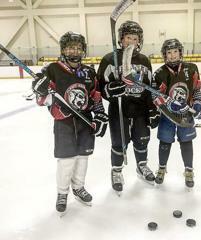 We encourage parents to take an educated/pro-active role in their child's hockey journey. 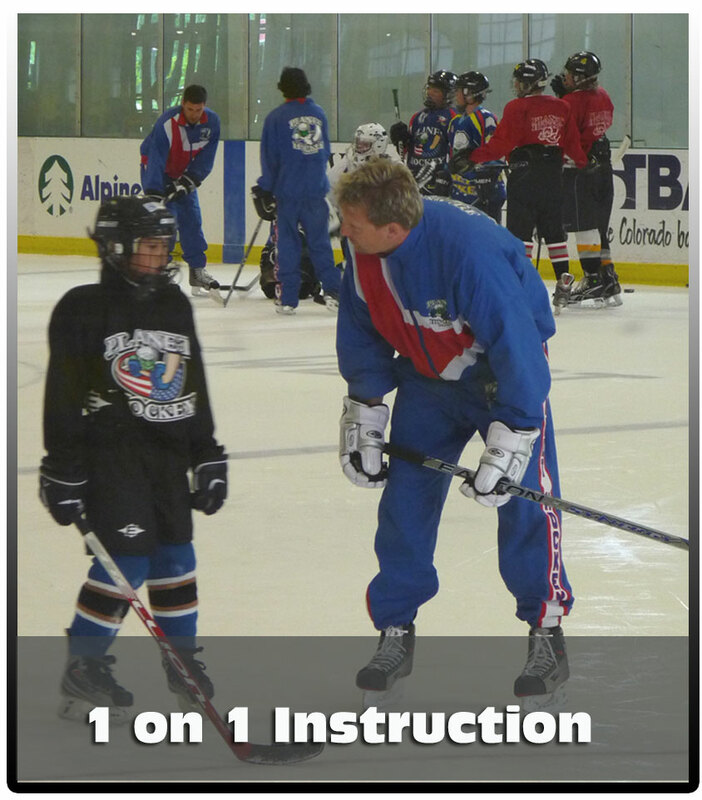 4-6 weeks prior to camp, we will email your pre-camp preparation workbook along with a short 'parent video' suggesting ways to prepare your player to get the most out of camp. 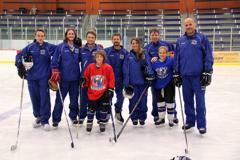 Together, we can make a huge difference in your child's hockey journey! 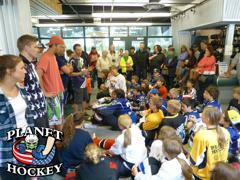 Camp Rep Program - Join the Planet Hockey Team! Shooters - players will receive additional on ice shooting & scoring instruction throughout the week, in conjunction with the goaltending sessions and small games training. 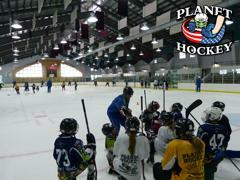 Girls are welcome at all Planet Hockey Camps and we are pleased to see more and more girls each summer! We will have incredible female coaches at all camps. 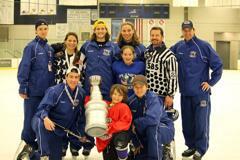 All Summer Camps also include: Small Games Training, Team Play, Body Contact, Puck Protection and much more. Plus, our Complete OFF ICE Program (daily Video/Lectures and Dryland Training), a customized electronic Player Evaluation/Profile, Free Planet Hockey Camp Jersey and much more. The most complete training available! 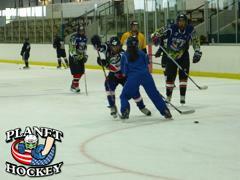 NO standing around at Planet Hockey! Our unique training methods and dedicated Instructors will keep you moving in creative, progressive, results-oriented, FUN drills. You will be motivated and educated by our professional, certified and passionate International Instructional staff. 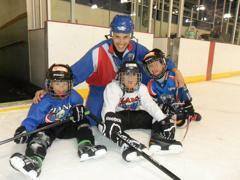 By the end of camp, we guarantee to improve your hockey skills, training focus and to grow your love of the game. Meet our staff. Guaranteed Improvement. 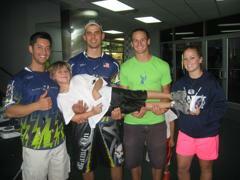 If you want to improve your game, we'll make it happen...regardless of current skill level. 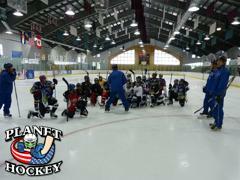 Within each group, players are assigned to smaller groups (2-10 players) to further maximize their skills development. So whether you are a curious beginner or a serious AAA player, you will always receive the best training for your skill level. We welcome boys, girls and adults. 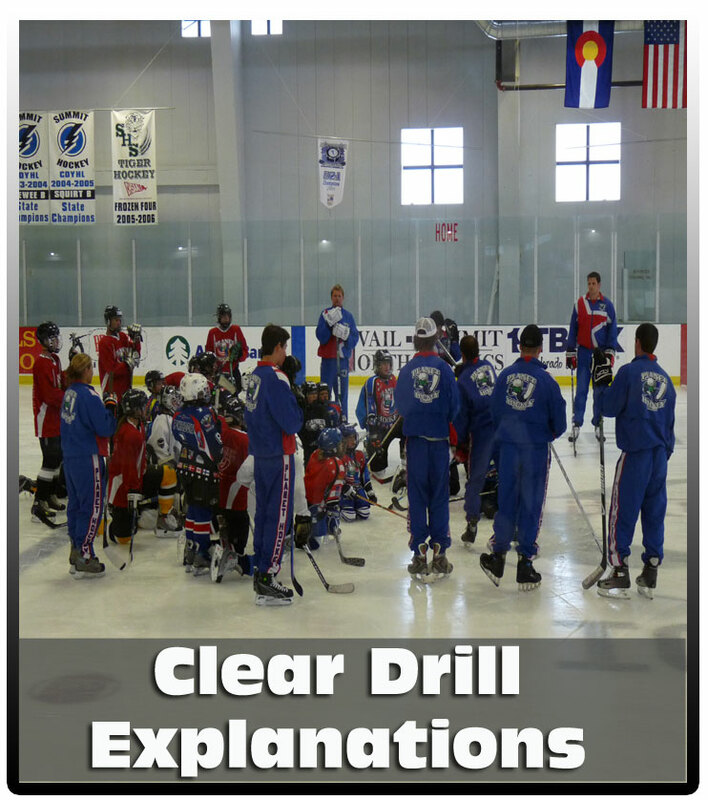 Progressive training strategies for ALL positions: Forward, Defense & Goaltenders. Video Lectures - daily classroom sessions to discuss: On & Off ice Training, Nutrition, Goal-setting, Preparation, College Hockey, Hockey Opportunities, Work ethic, Academics, Player responsibilities & more. Dryland Training - daily hockey specific off Ice training exercises to develop quick feet, leg strength, soft/creative hands, shooting accuracy, aerobic capacity, endurance and to prevent injury. Includes active stretching, circuit training, team building & plyometrics. $99 Registration option - expires Dec. 31. 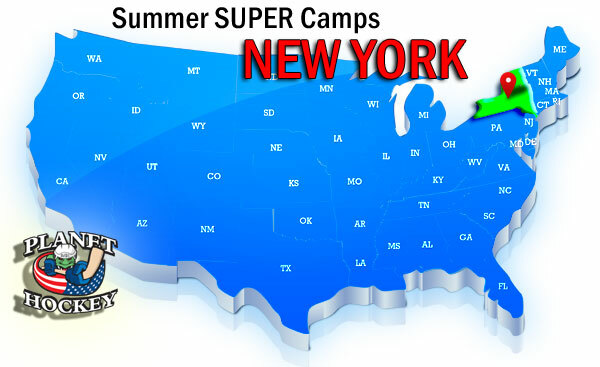 5 day camps only. POWER SKATING - Explosive Skating, Increase Stride Length, Power and Efficiency, Forward & Backward strides, Starts, Crossunders, Power turns, Agility, Lateral Mobility, Speed, Transitions, Acceleration and Confidence. STICKHANDLING - Creative Puck Control, Develop SOFT, CREATIVE Hands, Soft/creative hands, Effective moves, Wide reach, agility and control with the puck. PASSING - forhand, backhand, one-touch, saucer, drop passes, cycling and develop your on ice vision and ability to find passing lanes and open ice. 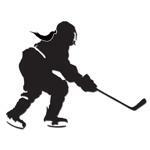 Scoring Strategies - dekes, tips, rebounds, Wrist shot, Snap shot, Slap shot, One-timers, Shoot to SCORE! TEAM STRATEGY - Read the ENTIRE ice, On ice vision & awareness, Passing lanes, be effective away from the puck, Odd man rushes, Breakouts. BODY CONTACT - Control your opponent, Giving & receiving body contact, Play along the boards, Gap control, Do's and Don'ts. DRYLAND TRAINING Get the EDGE - Proven off-ice hockey specific training exercises to develop quick feet, leg strength, soft/creative hands, shooting accuracy, aerobic capacity and endurance. 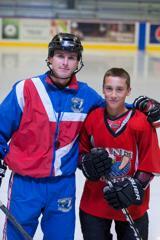 We are excited to provide the very finest hockey skills training available. 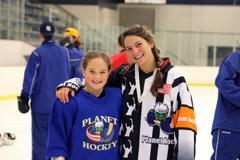 Join the more than 5,000 players world-wide, who will join Planet Hockey to take their game to the next level in 2019.